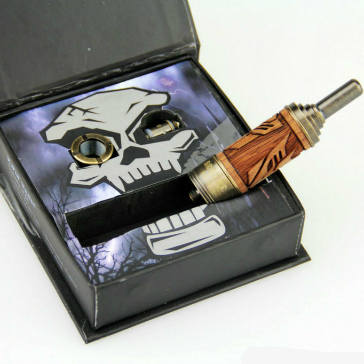 The X.Fir Desire BDC (bottom dual coil) atomizer brings together cutting edge technology and handcrafted wood for a truly magnificent vape. 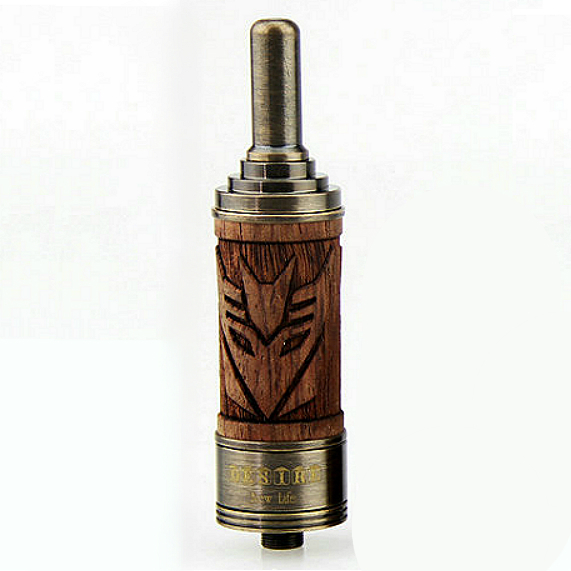 With a beautifully carved transformers design, the X.Fir Desire is a must have for those that enjoy a little flair and style when it comes to vaping. The X.Fir Desire isn't just about great looks, it features all the technology required to achieve the best possible vape. Bottom dual coils are supported with a superbly designed adjustable air flow system that allows you to personalize the amount of vapour you get by choosing one of the three air flow settings on the atomizer. As expected, the bottom dual coils deliver amazingly juicy chunks of vapor with incredibly accurate and crystal clear flavor transmission. The throat hit is also quite remarkable - you can feel the vapour like you're supposed to. Another great apect of the X.Fir Desire is that it is very easy to clean and maintain. It is easily dissembled and put back together again; even the drip tip is replaceable for optimal convenience. You can fill, change heads and clean your device simply and with no hassles whatsoever. If you're looking for a special atomizer that delivers top class vapour performance and has extreme visual appeal, the retro yet futuristic X.Fir Desire is just what you need.